Where to start...the bed was the comfiest I’ve slept in in a long, long time. The type you sink into with feather down pillows and duvet and crisp white cotton sheets. The staff and quality of the service was impeccable from start to finish, nothing was too much trouble and they went the extra mile at every turn for example meeting you in the garden as you returned home from a trip with cold towels and drinks. The food was marvellous- cooked to perfection and the menu varied to accommodate preferences and dietary requirements. The gardens are so lovingly tended and the house steeped in nostalgia. It took me back to my childhood. A truly magical place with service that the George V would struggle to provide. It has been more than 10 days since we left Stafford Bangalow but I still miss everything there: considerate service, awesome building and decoration, yummy meals and high tea...it can offer you a very comfortable and relaxed stay without disturbing. Even though you have to take one hour driven from pink post office to the banglow, trust me this is indeed a worthy sacrifice. Very nice ambience, garden. The bungalow is beautiful. First class service. Our butler was the best. Enough facilities to keep kids occupied. We enjoyed the mini golf, games room, morning walk to the tea estate and going to the picnic spot. Wide selection of books and magazines. They planned a nice birthday celebration for my mum in the games room. You will be pampered throughout your stay. Highly recommend staying here. The location is magnificent. The property and the garden is very well maintained. The staff are very friendly and meticulous to detail. The food is delicious. They prepare their own bread, jams and pastries on site. We chose to stay at Stafford Bungalow due to the recommendation of friends and it surpassed our expectations even then! From the minute we walked in the door we were looked after and welcomed. The gardens, the room lovely. The High Tea, dinner and breakfast (all included so excellent value) were all divine. It is such a treat to stay here and would highly recommend the experience. We only wish we could have stayed longer! The location of the property, the decoration, the room with comfortable beds. But more than everything, the staff makes the difference. Excellent service! The cook is also very talentuous. We ate the best curry of our journey in Sri Lanka in Stafford Bungalows. Very cozy and traditional! Loved the High Tea and the Food! The Small Details were cute! The Garden was awesome!!!!!! The location and views were breathtaking. The staff incredibly friendly and the food amazing. The one to one attention in this small hotel was heartwarming. Lock in a great price for Stafford Bungalow - rated 9.6 by recent guests. 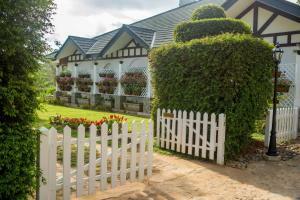 Stafford Bungalow is 0.6 miles away from Ragala and 12.4 miles away from the Nuwara Eliya city center. Free private parking is available on site. Some rooms have a seating area where you can relax. Certain units include views of the mountains or garden. Rooms come with a private bathroom fitted with a bidet. Extras include free toiletries and a hair dryer. You will find a shared lounge at the property. There is a tennis and bicycle ride or walk around the property. Guests can also enjoy a field walk in the morning for a tea plantation experience. Stafford Bungalow has been welcoming Booking.com guests since 27 Apr 2015. When would you like to stay at Stafford Bungalow? This twin/double room has a balcony, garden view and seating area. This family room features a seating area, sofa and tile/marble floor. Set amongst the stunning tea plantations in Sri Lanka, Stafford Bungalow is a family heritage holiday home, initially built by the pioneering Scottish planters in 1884. 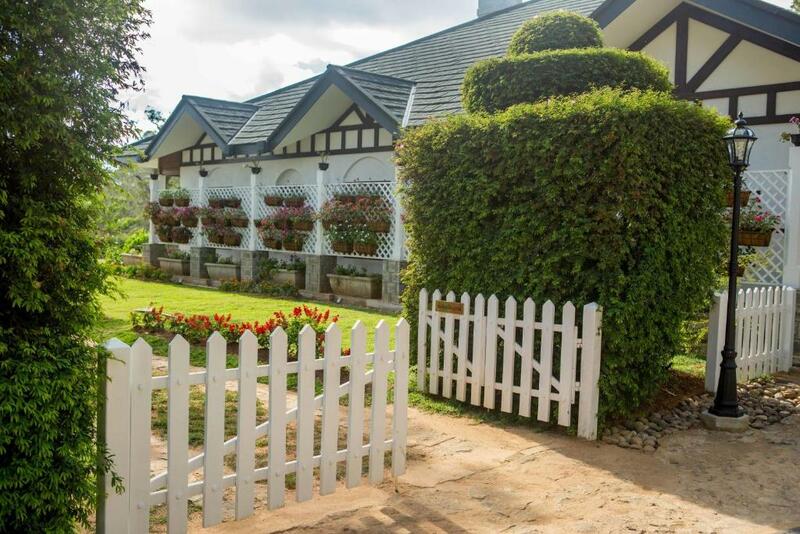 It is located in the outskirts of the Hill resort of Nuwara Eliya, approximately 30 minutes’ drive through the picturesque tea country and bordering the town of Ragala. Stafford Bungalow is now open to guests to share the experience of living in this exclusive planter's bungalow within a 50 acre working tea plantation. It is located amongst one of the finest tea fields in the world, in a private and stylish ambience. Rest and rejuvenate while enjoying the salubrious cool climes of the 'Tea Country', take a walk along one of the many trails that wind their way through the luscious tea bushes, or just simply enjoy freshly brewed tea and scrumptious baked scones on the perfectly manicured 'Blue Grass' garden, immersing in nostalgia of the days gone by. House rules Stafford Bungalow takes special requests - add in the next step! All children under 12 years are charged USD 62.50 per night for extra beds. Stafford Bungalow accepts these cards and reserves the right to temporarily hold an amount prior to arrival. Please note that the property will charge a gala dinner supplement of USD 160 per person not included in the room rate. A little further from Newara Eliya than other options but well worth the journey time. The countryside around Ragala is picture postcard perfect. Nothing. We will come back absolutely! Overall it’s awesome but a few things to note- Too far from Nuwara Eliya No pool or bathtub Food prices were not available till we asked for it. Food choices could have been better. If you didn’t like the menu for the day there isn’t another choice. As portion size was very big , a kids menu for kids would have been appreciated. In case you are someone looking to eat outside of the bungalow, you may not like it as it is far from town. But the food in the bungalow is good. The beautiful setting of the bungalow, decllicious food, friendly and professional service of the staff. The menu can offer some local dishes to choose from. The place abounds in fresh vegetables so a menu that also features local vegetarian cuisine will be ideal. The only unfortunate incident was that we had booked for 3 nights, and a few days before our arrival they told us they were overbooked and could only accomodate us for 2 nights. When you are abroad and travelling with kids, this is not quite appreciated. Nonetheless the 2 nights were worth it. Of course the prices are expensive but when compared to some other expensive hotels it is defenitely worth it and would recommend it to everyone. Please notice it is a 30 minutes drive from Nuwara Elya but as we traveled with a private driver it was no problem for us! The Location was a bit disappointing! It was in a beautiful setting for sure but not in Nuwara Eliya! Also the Cleanliness of the Place and the furniture was questionable! Stains on the Furniture everywhere and they put dirty cloth on the table for the High Tea!